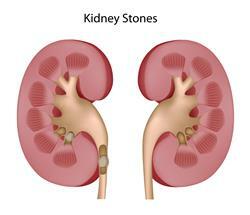 I have had kidney stone issues since I was 26 and underwent two operations to get them removed. However, they keep coming back and while I am maintaining water intake, some tips from those who have had kidney stones would be great. I want to reduce the pain and get rid of them naturally. Being overweight has also been linked to increased chances of getting kidney stones. Just make sure you are not overweight for your height. High protein foods break down into urea which has a major role in the formation of kidney stones. Just watch your meat intake and don't eat a lot of grains either. Intake of Vitamin C in your daily diet should be reduced to under 2 grams because unused calcium and a high quantity of it in your blood can promote stone formation in the kidneys.